Rameshwaram Temple / Rameswaram Jyotirlinga / Shri Ramlingeshwar Jyotirlinga are a famous pilgrim center for Hindus. It is considered one of the most sacred places of the Hindus, it is considered to be one of the places of pilgrimage in Dham. 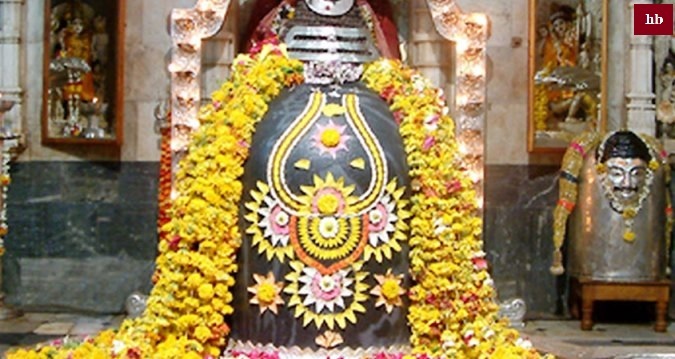 Apart from this, the Shivlinga established here is considered as one of the 12 Jyotirlingas. Rameshwaram is located in Ramanathapuram district of Tamil Nadu state. The island located in the Gulf of Mannar is the folk-famous huge temple of Lord Rama. According to legends, Lord Rama was the seventh incarnation of Lord Vishnu, who constructed a bridge from here to Sri Lanka to save his wife Sita ji from the clutches of Ravana. Rameshwaram's name in the Puranas is Gandhamadan. In fact, Rameshwar means Lord Rama and the name of this place was named after Lord Rama. The famous Ramnathaswamy temple here is dedicated to Lord Rama. Every year lakhs of pilgrims visit this temple and take blessings from God. 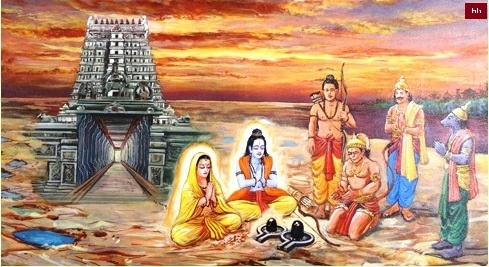 It is also believed that Rameshwaram is not the place where Lord Ram decided to atone for all his sins. After killing a Brahmin Ravan, Lord Rama expressed his desire to penance in this place. Lord Rama wanted to build a big Shivling, here and for this, he asked Hanuman to fetch Stones from the Himalayas. It is believed that the statue situated in Shri Ramanathaswamy temple is the same idol. The recognition of Kashi in the north of India is that of Rameswaram in the south. Rameshwaram is located about four and a half miles south-east of Chennai. It is a beautiful conch shaped island surrounded by the Indian Ocean and the Bay of Bengal. Long before this island was associated with the mainland of India, but later the waves of the sea cut the Joining link, from which it surrounded the water and became an island. Here Lord Shri Rama Ji had constructed a stone bridge before climbing Lanka, on which the monkey army reached Lanka and conquered it. Later on, Ram requested the settlement to break the bridge at a place called Dhanushkoti. Even today, the remains of this 30 miles (48 km) long Adi-Setu are visible in the ocean. The third corridor of the temple here is the longest corridor in the world. At the place where this island was connected to the mainland, there is a two-and-a half-wide wide bay at this time. Initially, this bay was crossed by boats. It is said that long ago people used to travel from Dhanushkoti to Mannar Island. But in 1480, a cyclonic storm broke it. Later, four hundred years ago, a king named Krishnapapnayakan made a huge stone bridge over him. After the arrival of the British, there was a proposal to build a railway bridge at the place of that bridge. By that time, the old stone bridge was broken by the collision of the waves. With the help of a German engineer, a beautiful bridge of the broken bridges was built. At this time this bridge connects Rameswaram with rail service from India. Kanyakumari is a famous pilgrim center in the south from Rameswaram. The Bay of Bengal, which is called Ratnakar, meets the Indian Ocean right here. Rameswaram and the bridge are very ancient. But Ramnath's temple is not as old. Some other temples of the South are made of one and a half thousand two thousand years ago, while the Ramnath temple is still less than eight hundred years ago. A lot of this temple is part of fifty-sixty years ago. There are nine Jyotirlingas near the womb of the house of Visalakshi in the temple, which is said to be established by Lankapati Vibhishan. The copper plate that is found in the temple of Ramnath shows that in 1173 AD, King Parakram Bahu of Sri Lanka constructed the original gender sanctuary. Shivling alone was established in that temple. The idol of Goddess was not kept; hence, she called the temple of Stones war. This original temple has moved forward to the present state. Later, in the fifteenth century, Vaishyas, a resident of Raja Udaiyaan Sattupati and the nearby Nagaur, built 78 feet high gopuram in 1450. Later a goddess of Madurai had restored it. In the 16th century, the wall of the second square of the southern part was constructed by Tirumala Sethupati. The statue of his son and his son is also sitting on the door. Udayan Sethupati Kattteshwar, a subordinate king of Raja Vishwanatha Nayak of Madurai, constructed Nandi Mandap in the same century. Nandi Mandap is 22 feet long, 12 feet wide and 17 feet high. Temple of Satyamadhav with the temple of Ramnath was built five hundred years ago by King Udaiyan Sethupati of Ramanathapuram and a wealthy Vaishya. 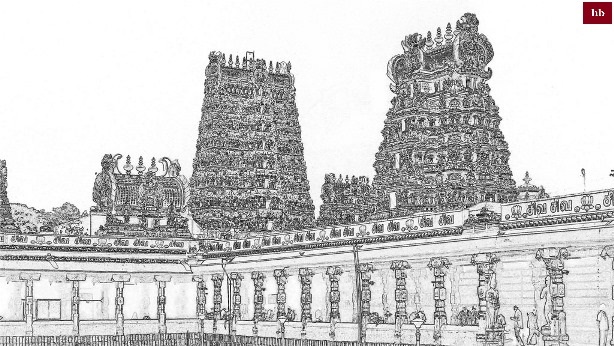 In the seventeenth century, Dalwai Sethupati started East Gopuram. In the 18th century, Ravivijay Sethupati built a bedroom and a pavilion of gods and goddesses. Later, Muthu Ramalinga Setupaipi constructed the outer percussion. Between 1897 - 1904, a family from East Devonport, with a total of 126 feet high, was constructed from Central Devkottai. The same family repaired the womb in 1907-1925. Later he also performed Maha Kumbhbhishak in 1947. The Khilji dynasty of Delhi merges with the history of Rameswaram. Alauddin Khijali's Army General had come to this city and Pandya's army did not even stop them. On his arrival, the General had constructed Alia-Al-Din Khaldiji Mosque in Rameswaram. In the 16th century, the city had come under the control of the kings of Vijayanagara and by 1795; British East India Company had taken possession of Rameswaram. Even the architectural architecture of Rameswaram's buildings can be seen easily. The temple of Shri Rameshwar Ji is one thousand feet long, six hundred and fifty feet wide and one hundred fifty feet high. In this temple, a high statue of Shiva Ji is even more beautiful than a hand. Apart from this, there are many beautiful and beautiful Shiva statues in the temple. There is a huge and very attractive idol of Nandi Ji. There are also statues of Lord Shankar and Parvati, whose decoration is celebrated on the annual festival. On this occasion, the ride of Shiva and goddess Parvati rides by sitting on gold and silver vehicles. On the annual festival, Rameswaram Jyotirlinga is decorated with silver trump and white northern meaning that is decorated, which gives a beautiful appearance of gender. The special significance of procession from Gangotri to Uttarakhand from Gangajal to Shri Rameswaram Jyotirlinga has been explained. If the Ganges water is not available near the pilgrim who travels to Shri Rameshwar, then the parades of the people there, giving Dakshina (small amount of perfume) to the Ganga Jal. Devipatan should be followed after Uppura. It is 12 miles from Ramnathpur. Shriram had established a Navghar here. Setubadun started from here, so this is the original bridge. This is where the Goddess killed Mahishasur. Here, Dharma has attained Shiva-vehicle by tenacity. The religion created by them is Pushkarini. This is a beautiful land of Maharishi Galav. Here the religion is near the sea, the Pushkarini Sarovar. The sea is shallow There are nine stone columns in it. These are symbols of Navagraha. After bathing in the lake, they are orbited in the sea. Here is the temple of Mahish Mardini Devi at some distance and Shiva Temple in the market. after the Goddess Panthan, visiting the Darshan and bathing in the sea and seeing in the temple. This place is 6 miles from Ramanathapuram. The sea is 3 miles ahead from here. Near the temple in Dharamshala. The idol of Shriram sleeping on the darbha in the temple. This is huge. There are many idols in the orbit of the temple. There is a temple of Hanuman Ji on the beach. Traveler from Ramanathapuram should go to Pamban and take a bath in Bhairav Tirtha. The method is to go to Dhanushkoti after this, But Dhanushkoti shrine was destroyed in the sea storm. Well, there is still a way to go there. There should be 36 baths and sandals in the sea by giving sand and sandstone to Rameshwaram. This temple is located two miles away on the Pamban road. It is said that Shriram had washed his hair here. 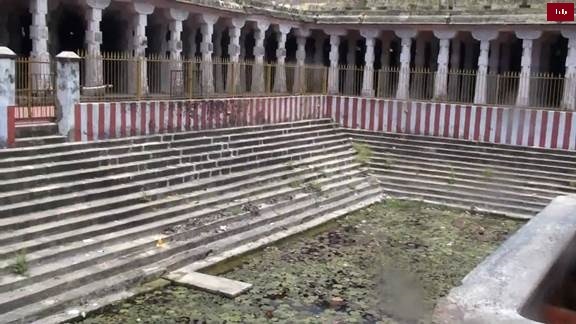 This Kund is located 5 miles away from Rameshwaram. There is a sweet water well on the beach. 4 miles from Rameswaram, this temple is stationary. Here Srivaigra is in the post of dialogue. On the two miles from Rameswaram, there is a temple of the Navcam Amman Devi. Here water comes from the reservoirs of Rameswaram. It is 5 miles north of Ramesh on the beach. There are pedestrians on the sand plain. Here Shriram had made Tilak the Vibhishan. Freshwater fountain in the midst of the seawater near Tankchichtham station. This is a trunk This shrine is available at the time of barges in the sea. When Sitaji was thirsty, Raghunathji pressed the earth with the tip of the bow, the water came out. Seven miles south of Rameswaram is a place in the south, which is called 'Darbhashyanam'; Right here, Ram first started to build a bridge in the sea. For this reason, this place is also called bridge etc. 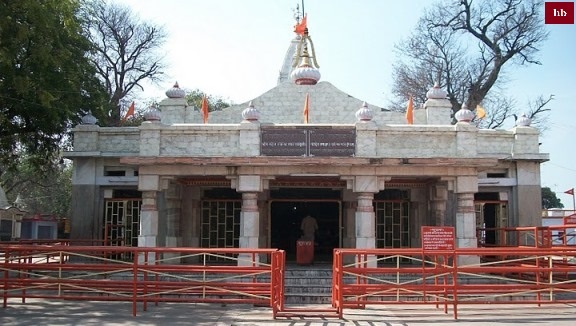 Twenty-four wells have been constructed within the premises of Shri Rameshwar Mandir, which are called 'Shrines'. The special significance of bathing with their water is explained. The sweet water of these wells is also potable. There are many wells outside the temple, but the water of them all is saline. There is such fame about the wells in the temple-complex that this well was made by Lord Shri ram through his unmanned arrows. He sacrificed water for many pilgrimages and left those wells, due to which those wells are still called pilgrimage. The names of some of them are Ganga, Yamuna, Gaya, Conch, Chakra, Kumud etc. 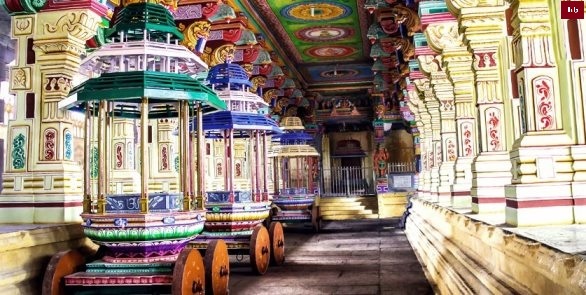 There are also other places of pilgrimage in Shri Rameshwaram, whose names are - Ramitirtha, Amrutvatika, Hanuman Kunda, Brahma Ghanthan Tirtha, Vibhishan Tirtha, Madhvkund, Sethamadhav, Nandikeshwar, and Ashtalkakshamandap etc.